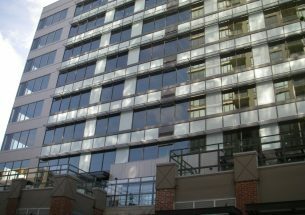 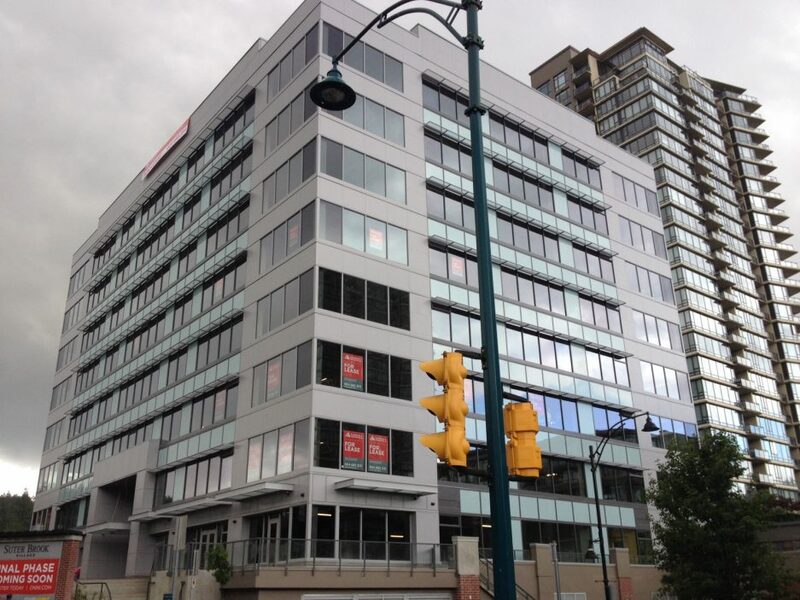 Suter Brook Office, a nine-storey office building located within Port Moody’s Suter Brook Village, is conveniently located next to the Inlet Centre stop on the new Evergreen Line. 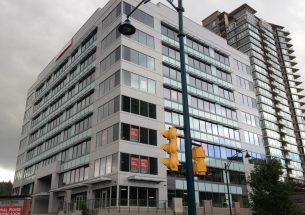 This prime location near rapid transit will likely help the Onni Group, which built the tower, achieve their goal of creating a vibrant live / work community. 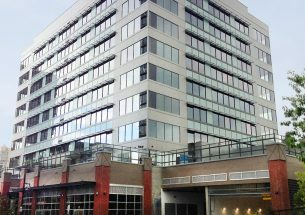 The building has 25,000 square feet of commercial space on the ground floor, with the eight floors above devoted to office space. 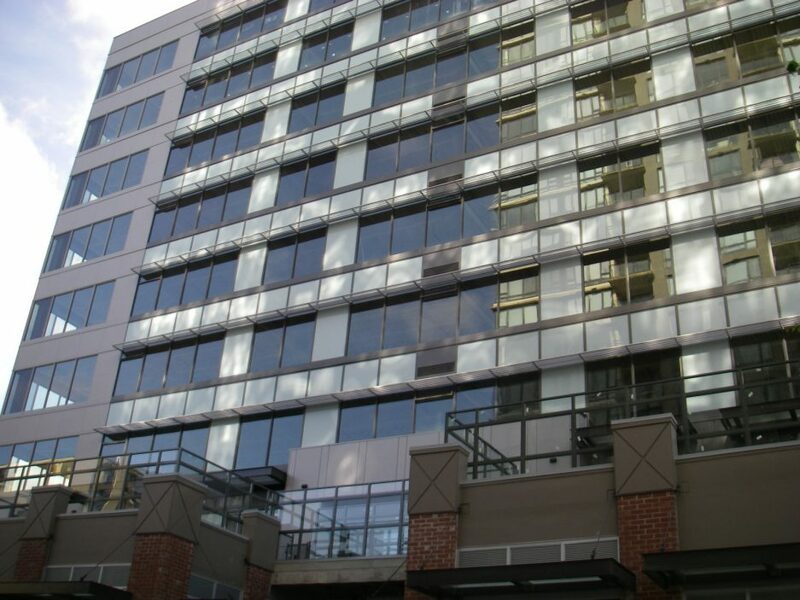 Notable building envelope features include window wall, curtain wall, brick veneer, aluminum metal cladding, and a green roof system. 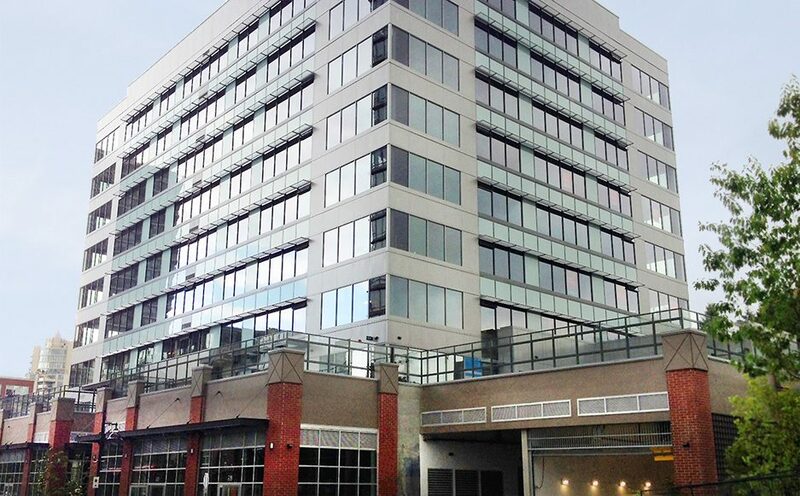 BC Building Science was the Building Envelope Professional from the schematic design through to post construction.